Matthew Goddard commenced his musical journey as a drum kit player in Hobart, his musical interests eventually broadening into orchestral percussion. He studied percussion and timpani and the Victorian College of the Arts, graduating with an honours degree in Music Performance in 1997. 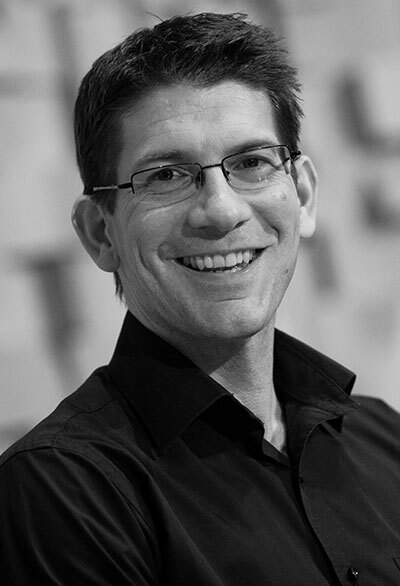 Matthew maintained a busy freelance career in Melbourne, working primarily with the Melbourne Symphony Orchestra. He was also a founding member of the percussion quartet Woof! which performed many concerts of new and established percussion quartet repertoire, recorded an ARIA-nominated Cd of the Tuneful Percussion Works of Percy Grainger and was part of the Musica Viva In Schools programme in Victoria. In 1998 Matthew worked in Japan as Guest Timpanist and Percussionist with the Orchestra Ensemble Kanazawa before returning to his hometown of Hobart in 1999 to take up his current position as Principal Timpanist with the Tasmanian Symphony Orchestra. Matthew plays percussion with the ensemble Sequenza and performs with Tracey Patten in the percussion duo MATTRA. Matthew maintains a keen interest in new music and in recent years has premiered Sudhana’s Steps by Phil Treloar, a set of six pieces for solo timpani which he performed as part of MONA FOMA 2014 and in the Synaesthesia+ festival at MONA later in the same year. In January 2016 he performed a solo programme at MONA FOMA which included Elliot Carter’s Eight Pieces for Four Timpani. Future projects will include performing the recently completed Diaphonous Nebulosities for solo timpanist, written for him by Scott McIntyre.